It is time to do a major fundraiser for the Polyclinic! A few weeks ago, I witnessed a moving experience. The Polyclinic medical staff saved the life of one of our island residents. The standard of emergency care by the staff of the San Pedro Polyclinic was outstanding from the time the patient was brought in to her delivery to Tropic Air. Tropic Air was also outstanding in its efforts of coordinating the flight as well as providing a stretcher for transporting the patient to Belize City. The emergency service team in Belize City was waiting at Belize Municipal Airport for onward transportation to Belize HealthCare Partners. The surgeon who then was waiting to perform the surgery said that had the patient not arrived at the hospital when she did, she would have died within three hours. The happy ending of this story is that patient is currently recovering back on the island. While this story has a happy ending due to the very professional staff at the Polyclinic it was quite clear to everyone involved there was a lack of necessary medical equipment at the clinic. For example, there were no stretchers. After seeing all of this first hand I believe it is important to find a way of improving the equipment at the Polyclinic. I am planning a fundraising event to be held at Caribbean Villas December 10, 2017. The event will give 80% of the proceeds to the Polyclinic and 20% to another important facility on our island, the San Pedro Animal Foundation (SPAF) which is the only facility with a full-time vet on the island. The goal is to raise $60,000 Belize dollars. The monies will in part go to Christmas bonuses for the Polyclinic staff for their contribution to the community. The balance of this will then go towards the purchasing of an incinerator, which is urgently needed to dispose of medical waste, as well as the purchase of much-needed stretchers. The monies raised that goes to SPAF will go towards persons who always look after their pets but cannot afford the full fees associated with this service. As a result, SPAF would then step in and take care of the cost of the services provided. Hyde shipping has very kindly said that they would bring the incinerator to Belize free of cost and obviously would come in tax-free. It is without a doubt everyone has a story about the Polyclinic that has helped their family or friends, and there is no doubt that every single hotel and resort on the island has used the services of the Polyclinic at some point in assisting their guest’s medical needs. If we all work together this target will easily be accomplished. It is time that the island community shows appreciation to the staff and Polyclinic for their continued service in saving lives on the island. Now the question is how can each of us help reach the goal of raising $60,000 BZD? You can help by making a monetary donation or giving a prize for our silent auction…or both! You can also come to Caribbean Villas for the Beach BBQ on December 10th where all of the proceeds from the BBQ sale will be going towards our goal. The more people that come to Caribbean Villas Hotel for the BBQ, the more money will be raised. Come out and support the San Pedro Polyclinic. It is time we all help make a difference by supporting this facility that is there for us in our times of emergency. It is time the island gives back to Polyclinic for their continued service in saving lives on the island. More information will be provided in the coming weeks, and an organizing committee will be presented very soon. Here's hoping that we make the medical staff’s Christmas one to remember. 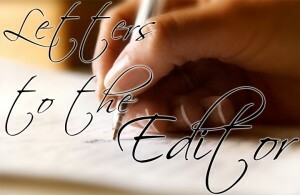 Letter to the Editor: Is this your Isla Bonita? Letter to the Editor: Would anyone go to this bar?